Denver Broncos tight-end Shannon Sharpe (84) is congratulated by teammates after his game-winning 24-yard touchdown pass in the fourth quarter against the Kansas City Chiefs at Mile High Stadium in Denver on Sunday, Dec. 6, 1998. The score put Denver on top 35-31. 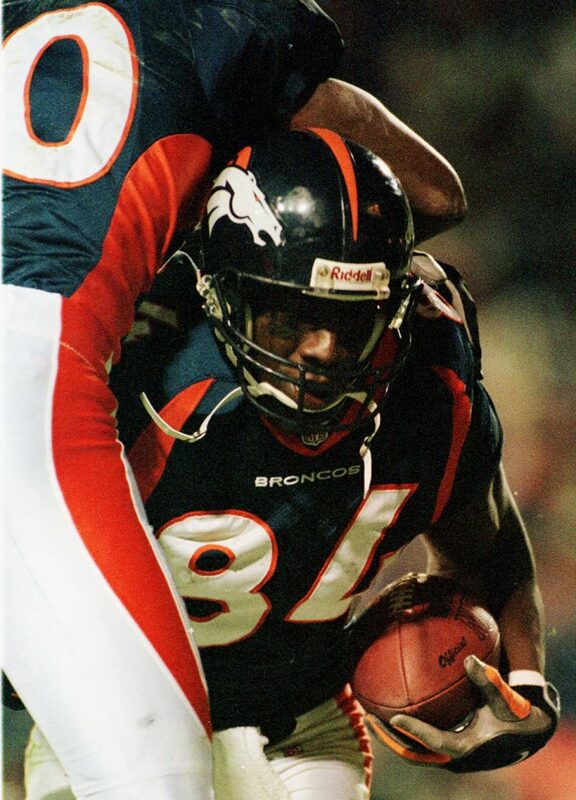 The Broncos tie an NFL record by winning their 18th game in a row (regular and postseason combined) with a 35-31 comeback defeat of Kansas City at Mile High Stadium. The win also gave the Broncos a 13-0 record to begin the season.